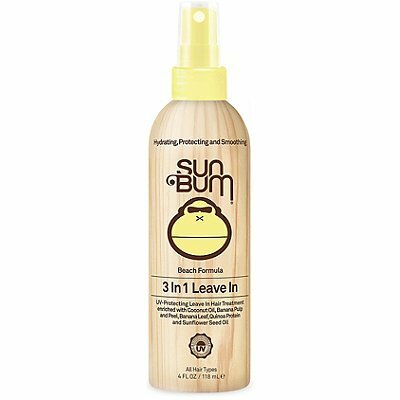 Sun Bum 3 in 1 Leave In Treatment detangles, conditions, and protects. Instantly penetrates into the hair shaft without weighing the hair down. Protects hair against heat appliances and chemical damage. Delivers instant repair and adds elasticity to dry, damaged and frizzy hair. Slows color fading and extends healthy luster. Prevents split ends. Shields hair from sun and wind damage. Lightweight formula is humidity resistant. Perfect for all hair types. Paraben free, dye free. Shampoo and condition hair, towel dry, spray directly into hair or apply one or two spritzes into your palm, rub together, run fingers through hair and comb. Do not rinse. Also perfect after a day in the ocean or pool. 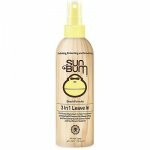 Sun Bum Signature Lotion 3.0 oz.